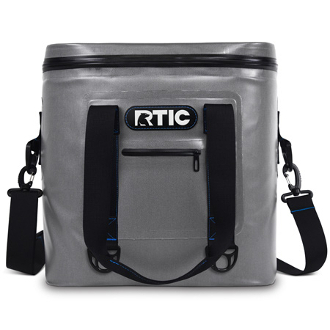 A great personal cooler and holds up to 20 cans of your favorite beverage plus ice. It is 100% leakproof, puncture-resistant, and has an antimicrobial liner that resists mildew. This cooler is very practical for everyday use and can be taken to work, camping, hunting or fishing. This cooler keeps your food & drinks colder longer as it has up to 2 inches of closed-cell foam insulation and can keep ice up to 5 days.